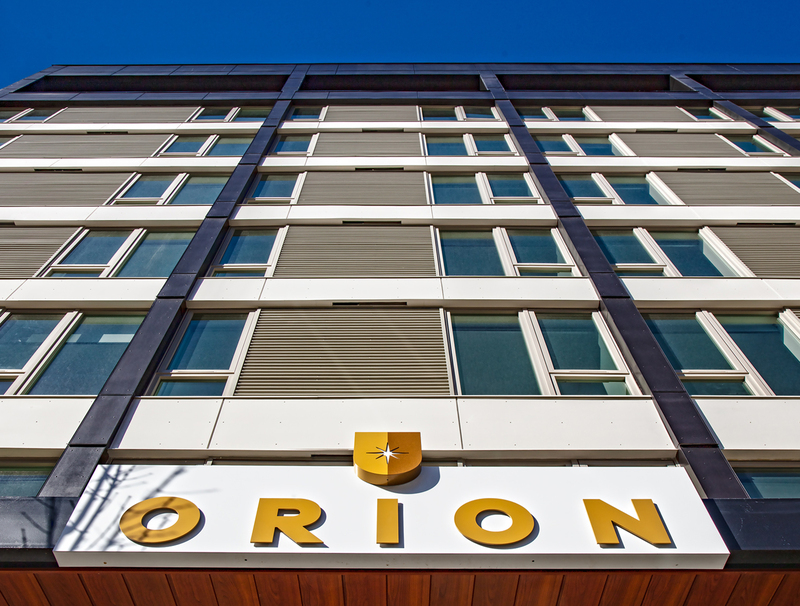 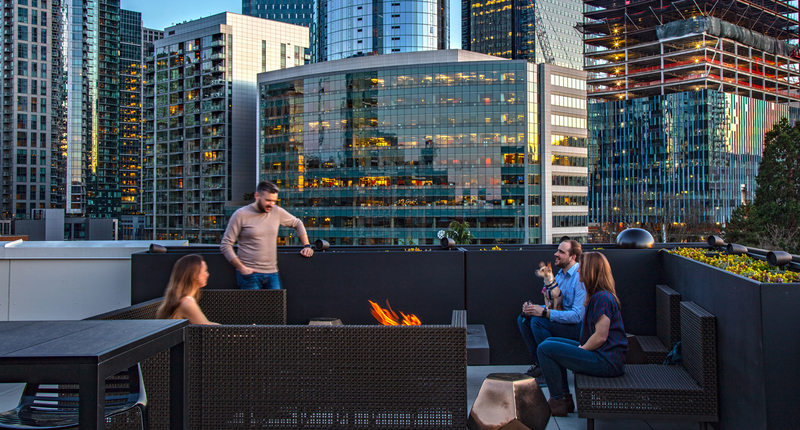 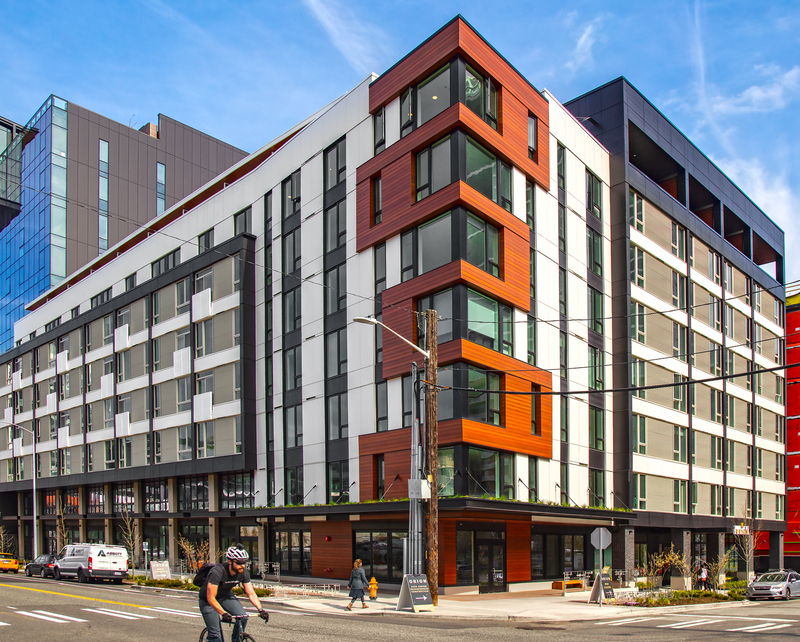 Orion is a quarter-block project in South Lake Union, opposite Olmstead’s Denny Park. 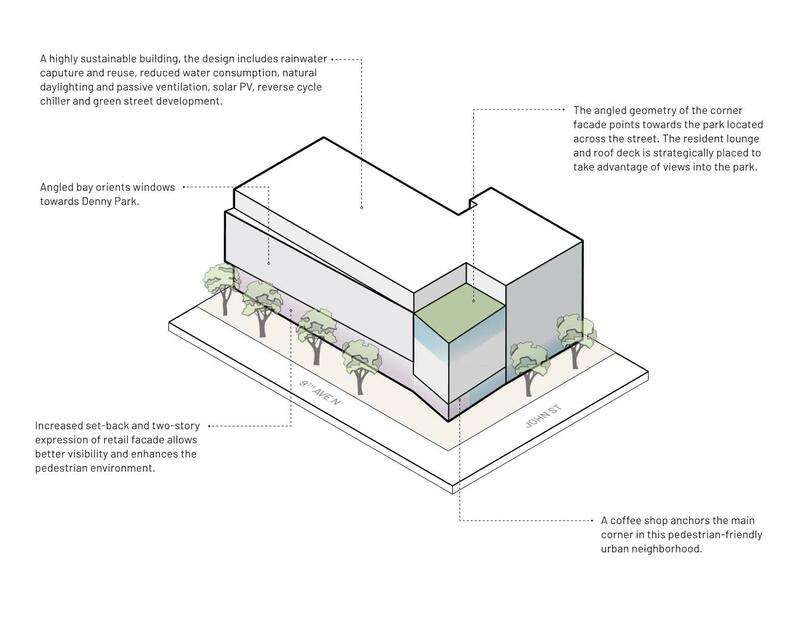 The park is the primary design reference point for the building, influencing both the street level spaces as well as the materiality of the exterior design. 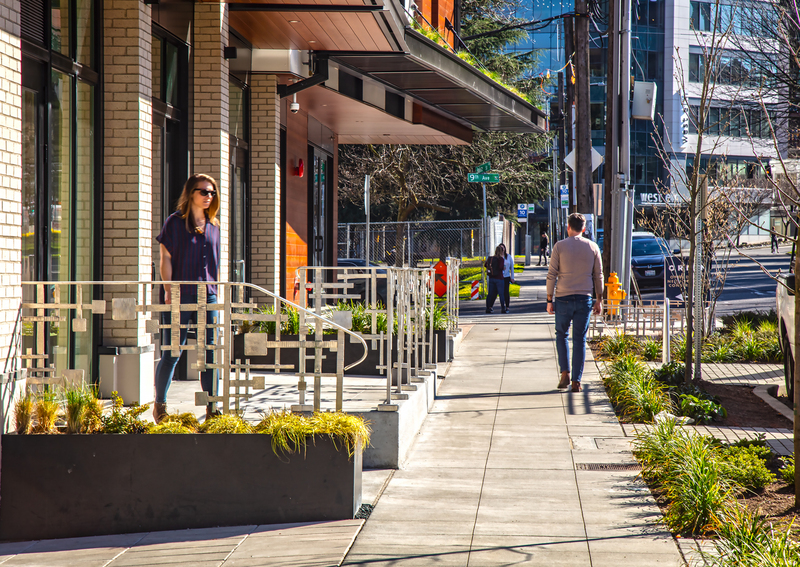 Large curb bulbs at the corner are heavily landscaped and provide a significant outdoor seating area with great solar exposure to encourage pedestrians to linger at the site, while a planted canopy provides overhead weather protection and extends the greenery of the park across the street to the more urban experience along 9th Ave N. The residential portions of the building are inspired by boutique hotel design, featuring series of well-crafted common spaces and urban apartment layouts with a high level of detailing. 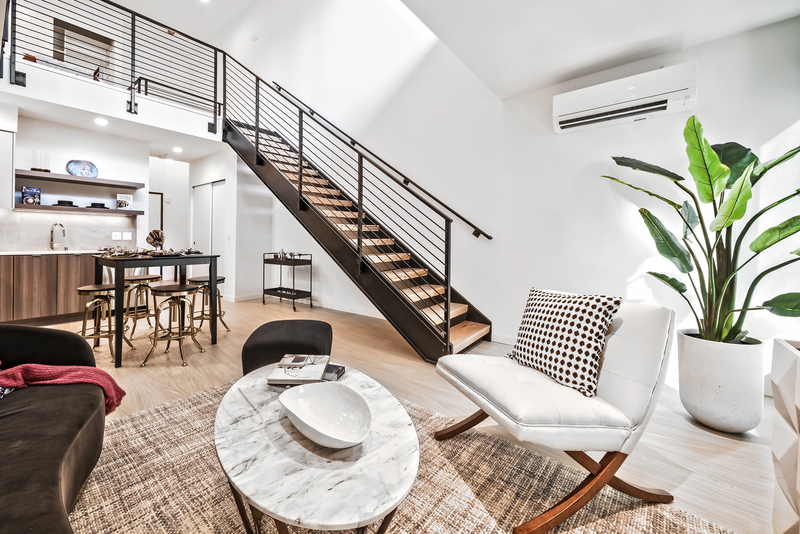 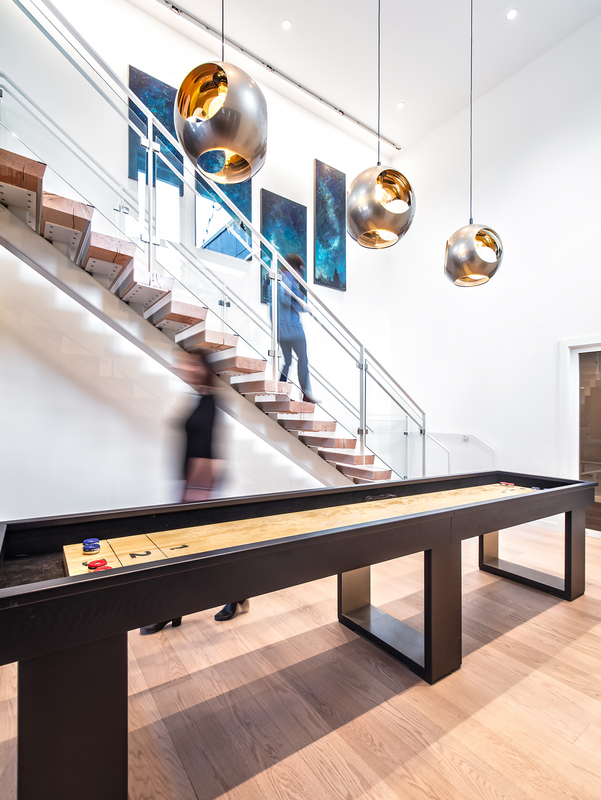 The top floor units are all two-stories, featuring sleeping lofts and private roof decks at the upper level. 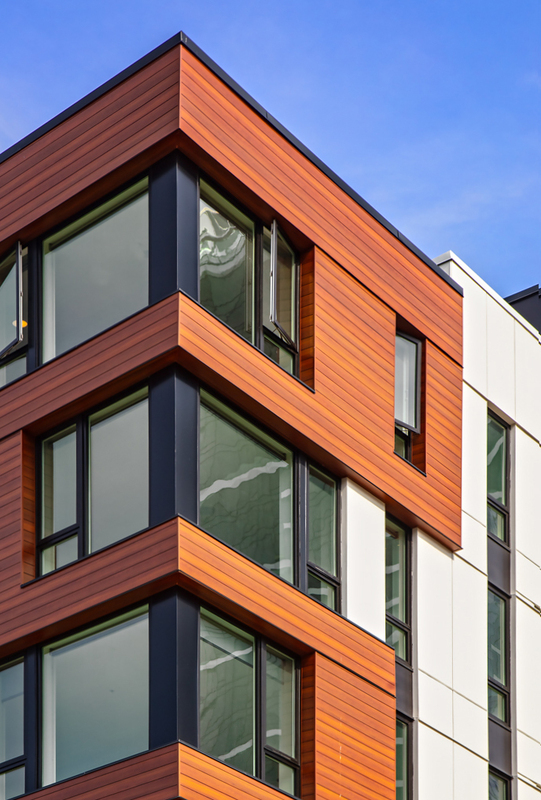 The trees of adjacent Denny Park inspire the wood-clad vertical design element of the building. 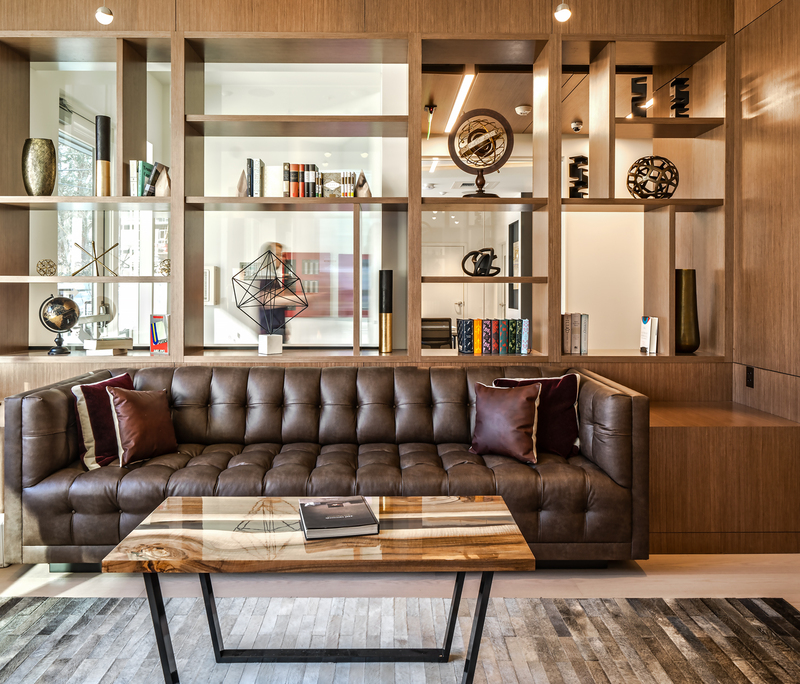 Boutique hotel design inspired the common spaces that were designed with a high level of detailing.